Living life without limits and within my boundaries. Of course, living with lupus affected me in different ways; joint pain, numb extremities, difficult pregnancies and exhaustion would be the side effects of the disease but it would not define my life. Initially I was terrified, but as I began to navigate around life’s detours the landscape of my life changed. I changed. 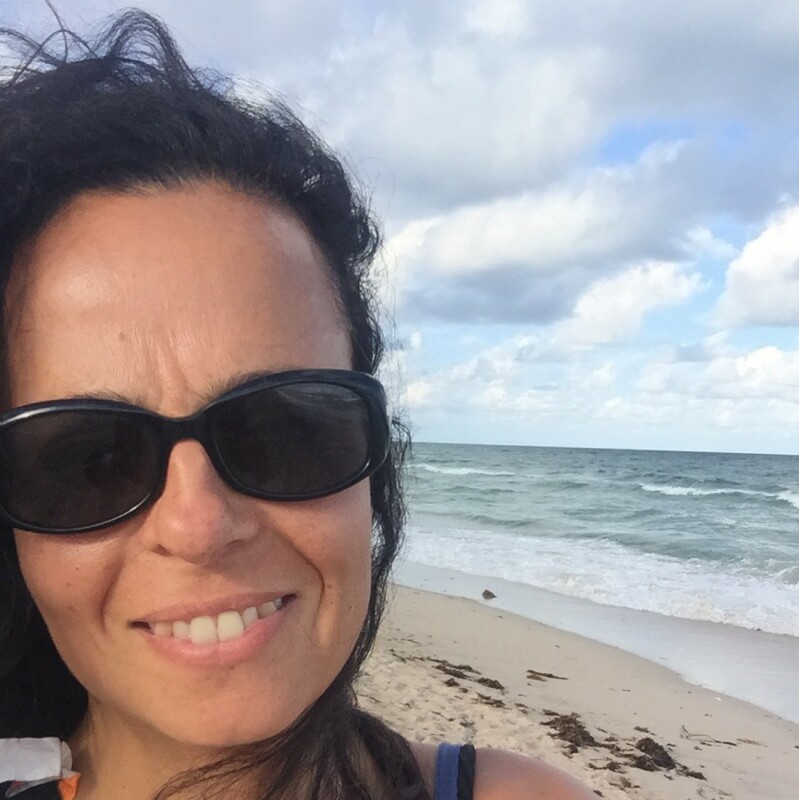 When I was diagnosed with MS as a mother of three young girls, I used my life experience with lupus to help propel me forward. I knew nothing about this new autoimmune disease but thanks to the Internet I had an opportunity to be terrified and calm all within one double-click. Living with two chronic diseases changed me as a parent, partner and friend. I lost patience and gained a new level of empathy. I knew pain and realized that I must respect the boundaries of my life without setting any limits to my potential. I must challenge my body every day. I run almost everyday with a phone and a mental note about who I could call if I don’t feel well. I position myself by the door in hot yoga classes, to make a fast exit if something doesn’t feel right. When I see a hill, I sprint to the top and catch my breath before I #HIIT the next hill. Being uncomfortable in this life was the only way to transform my life. Follow me on Instagram and see my nutrition and workouts. I need to listen to my body. I take a day off from life if my body demands, but I don’t take many sick days. If I have pain I go see a Dr, and make sure my actions will not make me worse. Fear of pain is more debilitating than pain. I will only surround myself with positive energy and love. I started to “block callers” out my life. Today was a gift that was not going to be wasted on the wrong people. My life was the example of respecting the boundaries of life without accepting any limits. I learned that being in fear of pain and failure was more debilitating than pain and failure. Wasting time obsessing about excuses would just slow me down, and grandiose failures were not as painful as setting limits. My life lessons changed me as a mother/coach. In high school, when my kids complained about sore muscles, illness, exams, coaches or teachers I listened. My response was consistent and I reminded them words are cheap, just do your job. I never filled their head with false praise. Participation trophies would be tossed in the trash. Life never gave you a trophy for just showing up. If you want more play time , be better. If you want to do better on a test study smarter(not always more). When they were injured makes sure it was not serious, but don’t waste an opportunity. There was nothing worse than running with your mom who just had a lumbar puncture and suffering joint pain. Yes, I get it hurts…so what. There is nothing wrong with being average, but I was never going to manipulate the system to get my kid more play time or a better grade. Everyone struggles along the way but it is how we get back up and learn from failure that matter. And, I was a master at failure. Anyone who watched my girls navigate a jungle gym or tryout for high school sports would be suprised with their future. Both girls were recruited to play Division I sports at universities that exceeded their expectations. 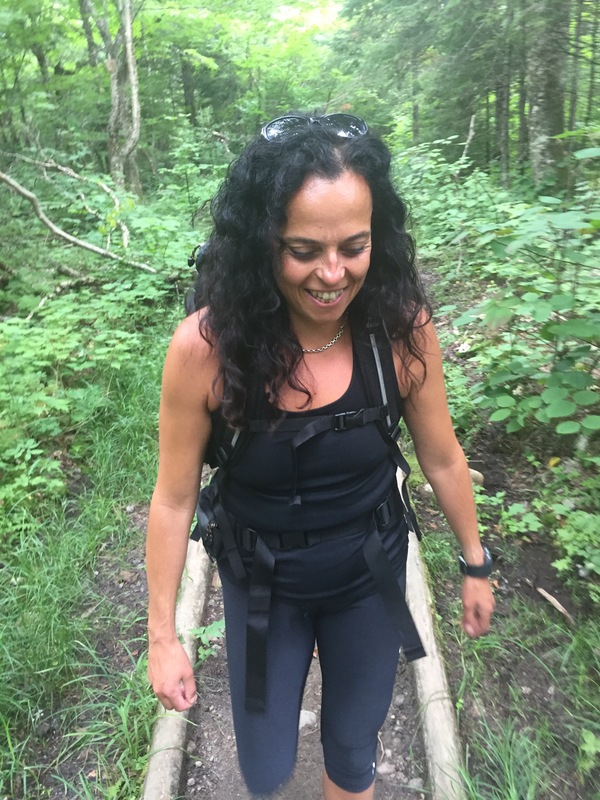 At the age of 43, MS has given me some detours, my skin feels like it on fire at times, I have pain in my jaw that will stop me in my tracks, my left side has noticeable weakness and yet last weekend I charted a new path with this disease.Last weekend I went hiking for the first time since I was diagnosed and to celebrate my marriage of 22 years. I was scared because of the weakness on my left side and my recent balance issues. At the age of 18, I hiked my first mountain with my boyfriend, at the time. When I told him that I needed a gallon of water at the summit, he carried my water in his pack. I was young and fit and struggled to climb to the summit. Half way up, I remember asking him if we could just turn around at the first nice view. I was young and in shape and struggled with no pack up that first mountain. I finished that hike with his support and that gallon of water at the summit. Of course, I was engaged immediately after that hike. After being married for 22 years it was a good test of any relationship and it was why it only took us two weeks to know we ready to get married. For the past 22 years we have both carried that back pack. I carried his baggage as much as he has carried mine. On our hike to celebrate 22 years married and 25 years together, I wanted to carry the pack with not just my water but all the supplies. I flew up the mountain and ran with that full pack. I have improved with age, experience and my family and friends. My husband did take the pack as soon as we hit this sign. It was a good call because the pack was so heavy that I almost fell back a couple of times. So, although I feel like I have #nolimits… I am #nofool. I am conservative risk taker. At 43, I am still married to the boy who carried my pack. I have learned the difference between respecting life’s boundaries and working through the pain. I believe that pain is weakness leaving the body only if you your respect your body. I have been warned to not run, be careful with the heat and don’t get too tired. I take naps but they are short. I run on hot days and love my hot yoga classes. MS is a mystery to me and I continue to learn more and more about this white matter disease everyday. My journey is unique but my lesson is universal. In 12 weeks it will be Halloween. Personally I missed the Girl World generation of dressing up for Halloween. As a teenager I used Halloween as an opportunity to wear my favorite overalls and looked for a costume to indulge my love of comfortable clothing. Halloween has changed as times have changed. When I was new to parenting, Halloween was an opportunity to showcase my parenting style, that I dubbed “lazy-creative”. I promised my oldest that this ensemble would help her achieve a new level of social status among the other trick-o-treaters. I called it “package that fell off the truck”. Smart phones were not around during this time and our lives were private. I was content to be a costume designer, make a wonderful meal, eat candy all while I wore my stretchy pants on Halloween night. There were no smartphones to document my choices. Now, with camera phones and social media, Halloween is a time to post great pictures. Just like any other event, people want to share their lives with the world. Some people go all out with the family costume or theme costume. Some just love to get those timeless shots on Facebook or Instagram, so they can hold onto that moment in time. And now as Facebook shares those memories we are reminded of those cute costumes and adorable kids. In 12 weeks it will be Halloween and the smart phones will be coming out. I want to challenge you to find a new level of success in 12 weeks. When you hand out Halloween candy this year, avoid temptation because you have never felt so good. I want you to add new clothes to your wardrobe that only emphasizes the hard work that you will be putting in over the next 12 weeks. So join me as I prepare to dress up this Halloween as my best self. Even if you won’t be sporting this Wonder Woman costume, you could if you were was so inclined. As a mom of a 16, 18 and 20 year old, I encourage my girls to go unfiltered. It is hard to look at yourself and yet it is easy to look at others and form opinions…maybe even pass some judgement. I have been thinking about social media and the world we create through a perfectly positioned camera lens. We change filters and alter images to create the best image. When did miniature golf become an opportunity to do you hair and wear your best summer outfits? I am fascinated by the mini golfers who hold up the line trying to get the best photo doing the most boring activity in this world. I recently sat with a friend as we discussed how online dating and social media has transformed our relationships and interactions. I encourage you to take a peek at Tinder, OKCupid, Facebook and even look at Snapchat, Instagram, Linkedin and the multiple other social media platforms. The world has changed since *69 was a big deal. I am not dismissing the importance of *69 because it was a BIG deal. I could no longer call the boys I like and hang up… it was an upsetting invention for an awkward teenager. We are always changing because of this fast paced new world. We are judged so quickly and yet we are more than our best selfie or profile picture. It is impossible to hide or be anonymous in this new world. I am sharing my unfiltered selfies. This past year, I had the pleasure of visiting my second daughter in Philadelphia and felt the blessings of this life. I ran along the route that I watched in the Rocky movies years ago. I ran along boathouse row and up the museum steps past the Rocky statue and, after I made it back to the hotel, I took my own selfies. I encourage you to judge every detail of my photo. I want you to judge my before selfie that I took in October of 2014, May 2013 and my new ones from this year. While you judge my hat or my bad hair, I want you to keep in mind there is more to me than these photos. I am in my 40’s. Nothing has been easy. My body has been both a gift and curse. I have heard from people that I am “just big boned”, “small boned”, too skinny, too fat, weak, strong, sick, healthy, fast and slow. You name it and I have heard it. I am a woman with 40+ years of experience and have heard many opinions of what “beautiful” is. Sometimes I can fit that mold, and other times I miss the target. The good news is that, I am in my 40’s and I have my own opinion. I am passing judgement on my own selfies. I will be celebrating my 21st anniversary of motherhood this year. My body survived 3 high risk pregnancies. My body carried me to the NICU at Children’s Hospital in Boston every day for 2 months. And my body gave me the three most precious gifts in this world. My body has also betrayed me multiple times, but somehow we have finally established an amicable working relationship. I am sure I will be betrayed in the future and we will have to establish new rules. Today was a gift that I will never get back, and I am thrilled that I took advantage of it. I get to pass judgment because I know my journey was not easy. There was a time that I was so busy getting the wind knocked out of me that getting back up was reflex and not a choice. So today, I will celebrate my choice to find my best self. Today, I will thank the road that brought me to those legs, abs, and arms. I am strong because of hard work. And today I will take this body and run with it-so please, pass judgment! I try to be careful when discussing my journey with MS. MS has a different plan for each person and the healthiest path is not determined by the patient with the strongest will. This disease is not something you can see with the naked eye, but it is real and the pain and symptoms are concrete. When my path was altered three years ago, I looked at my life and reassessed my relationship with mind, body and spirit. Spiritually, I learned that for me God’s will, or the power of prayer, is not my private genie in a bottle. I can not believe there was once a time in my life when I wasted a prayer on helping my children do well in team tryouts. Sorry girls, you are on your own at tryouts, both God and I have a previous commitment. I also vividly remember a tearful conversation with my dad regarding my relationship with God. I struggle with that conversation on a daily basis. One of the things I miss most about my dad was being around his faith and his connection to the church. I was naive before, and pain was only a pinprick compared to my life after 2013. My definition of a miracle changed and I now understand that miracles are not perfect packages wrapped up with a bow. Honestly, my change in nutrition and fitness was an accident. I always followed a calories in calories out accounting with my nutrition and I exercised everyday without a plan. I figured if I wanted to eat I should just run to balance out my calories. My weight was never an issue for any of my doctors or for me personally. I took a fitness job in 2013 that forced me to reassess my thoughts on the subject. I was hired by someone who I considered to be crazy about his nutrition. He was always talking about sugar in the American diet and he was obsessed with the science of exercise and nutrition. Along the way, out of respect for his patience and the love of my job, I experimented with the program. I was not following a diet, I was creating my own plan. I believe that this relationship was a small miracle. As my life was moving in a new direction, I listened to the song “God’s Promise” by Ellis Paul on repeat during all my runs. I realized we are not guaranteed a safe life. We do have control and yet we have no control. I am still spiritual but my life has forced me to look at this world in a different light. That shift in perspective wasn’t easy for me to grasp. In 2014, I felt sick before going into my MRI. I had been avoiding this disease because life had become so painful. I knew my body was failing me and I had to make changes. I went for a run in the rain before my MRI and made a promise to myself. It was my epiphany and I took a photo of that moment. I had made sacrifices to survive the past few years and I was ready to be different. In 2014, my MRI results were consistent with what my body was telling me. My wonderful neurologist looked me and my MRI over and said it was time to start treatment. New lesions had developed and I was not well. Since I am stubborn, I had already made the decision to try my own form of treatment first. I asked for one year with no drugs. He was polite, but definitely not pleased with my plan. He actually said, “so you are one of those.” I was aware that proper medical treatment can slow the progression but nothing can repair what it destroys. I was starting a game of Russian Roulette and was going all in. We parted ways with the agreement to meet again in 6 months. I came home that day and sent an email to my closest family members. I let my family know that if they did not bring me joy I was cutting them out. When I was first officially diagnosed I sent a text to the closest person in my life and she responded with silence. As time went on, that relationship would alternate been silence and toxicity. I did not open up to a lot of people at the time, so this was exceptionally painfully. I would say it was more painful than any of my symptoms. The decision to be selective with my family and friends was a big part of my healing process. I am lucky that my life is filled with wonderful people, but to cut one person out was tough. I changed my nutrition. I stepped on the scale and was open with my journey. I encouraged people to join me and found strength in the success of people around me. My nutrition is always a work in progress. In the beginning, I focused on cutting sugar out of my diet and increasing lean protein. Now, I have eliminated almost all processed foods and cut all forms of sweeteners out of my life. I have a few cheats a week but let’s just say I like what Tom Brady has to say about nutrition. There is a reason why there will be no human growth hormone scandal with that guy, even if people will be feeling his balls for the rest of his career. I assessed my body’s strengths and weaknesses and designed a fitness program. My workouts focused on balance and building strength in my weakest areas. I tested the waters with hot yoga. I understood the concerns with this disease and getting overheated. I had not experienced those symptoms and for some reason always felt better when I warmed up on my runs. I was nervous about hot yoga, but I felt great when it was over. I settled into a routine. I would be outside everyday for a 4 mile run to soak up the all important Vitamin D. Sunshine has a big impact on my mood as well. I would lift three to four times a week focusing on making my weaknesses my strengths. When I lift I add 25 minutes of HIIT training. On the days I did not lift, I try to make it to a hot yoga class. I surrounded myself with positive energy and love. I was open with my story and let some wonderful people into my new world. I continued to put my kids first because they bring me joy. I missed my six month appointment because of a scheduling issue. I finally saw my neurologist after twelve months. He was pleasantly surprised during my visit and I give him credit for not wanting to be right and just wanting me to be healthy. In twelve months I had lost a significant amount of weight and felt great. My supportive husband was by my side for this appointment and it was a moment. At the end of my appointment my skeptical neurologist told me to not change a thing and said,”you still have MS, but you look good.” We scheduled the next MRI for six months. This past week I went in for my MRI. I began to question my decision to play Russian Roulette. Maybe I was just ignoring my symptoms and the MRI would show the secrets of this disease. I have discovered that I am an expert at lying perfectly still for 75 minutes in that machine. The techs like to comment on the extent of the exam and I do feel like a warrior when I walk out of that basement at Brigham and Women’s Hospital. All scans are emotionally and physically draining. I have run marathons and I feel like this ranks up there with that level of intensity. The MRI results were better than I could have expected. My disease has not progressed! No new lesions and one past “suspected” lesion was not well visualized. Each lesion is scar tissue and tells me how the disease is progressing. This was great news. After the MRI, the meeting with the neurologist went even better than the scan. We chatted and this time he was ready for my stubborn personality. He confessed that I looked so good six months ago that he reviewed all my tests just to make sure I actually had MS. He was still confident with the diagnoses and impressed with my health. We argued about Vitamin D and he eventually won after we agreed that the blood work would be the deciding factor. After my appointment, I celebrated my body by going for a run and participating in a hot yoga class. Honestly, I did want to take a moment to celebrate by lying on the couch with a cupcake. Going for a run when I was not in the mood was my little miracle for the day. Now my life is full of small little miracles everyday. I want to share my journey because I learned so much in the past few years. My body is a work in progress. I would prefer not to have this disease, or Lupus. I would prefer to be pain free and for everyone in my life to never experience a moment of heartache. I believe that my pain made me stronger for today. I know to not take the status quo for granted. You could be having your best moment right now, so be grateful. I am down almost three pounds in one week. Although this exceeded my goal of one pound a week, I was frustrated. Considering how difficult it was to change, I felt that I should have lost 15 pounds. I had three small cheats all week and my no’s to temptation far outnumbered my yes’s. Do I have any regrets? After looking back on my week, I can promise you that every piece of food I ate, and workout I endured, was worth that number. I can not imagine a piece of food that is worth not feeling this great. As of today, I am part time-trainer, full-time manager of this studio and full-time manager to a multi-state family. I should be exhausted and yet I feel great. I will make my favorite recipes and be ready for the next week. This week I will work for the next weigh-in and I will struggle with temptation. I will argue with myself over that seasonal Cadbury Egg that only comes around this time of the year. I will struggle with Trader Joe’s down the street and their wonderful marketing campaign. I can’t purchase any bad food from such a healthy establishment, so their chocolate bar with almonds can not be that bad. With these warm nights I will fantasize about walking to Diggums(they used to be Brighams) for a kiddie ice-cream cone. However, I understand that multiple small cheats are only bad habits. Eating clean is the only habit I want to embrace. I will focus on the weigh in on Wednesday with no distractions. What does February mean to me? Most people have a pattern where bad choices catch up to them and it shows up on the scale and around the waistband.February has always been my “fat“month. I also have a “skinny” month, September. In September of 1991, I met my life mate and sugar enabler on the first day of my sophomore year at Babson during my skinny month. I was working at Benetton in the Burlington Mall and killing it with my sales quota. I was also styling some very colorful sweaters. There were some strict rules at Benetton. I had to wear their clothes, I got 50% of all purchases, folding sweaters was an art form and no stretchy pants. The rules were a little complicated because of their limited size options. I remember when I was first hired and I joked with the manager that they could not have an employee larger than a size 12. 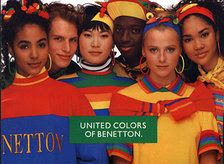 I was very comfortable in my skinny month at Benetton. However I was transitioning to my fat month and beginning my long-term relationship with a food pusher. This combination could only be described as the perfect storm. I was in Benetton’s only size12 lime green skirt by Valentines Day. On Valentines Day my future husband went all out. He purchased a five pound heart of chocolates and handpicked all my favorites. We ordered take out Chinese food for the two of us and when they delivered the food with 5 fortune cookies my future at Benetton was solidified. As soon as we finished the last fortune cookie I had to quit. I have not put on that much weight but I am up 7 pounds. In honor of my fat month, I have set my own 12 week challenge and encourage you to join me. I set a goal to lose 12 pounds in 12 weeks. If I don’t hit my goal I promised myself that I will post an embarrassing photo on my social media. My weigh in day is Wednesday. I will print out my food diary. 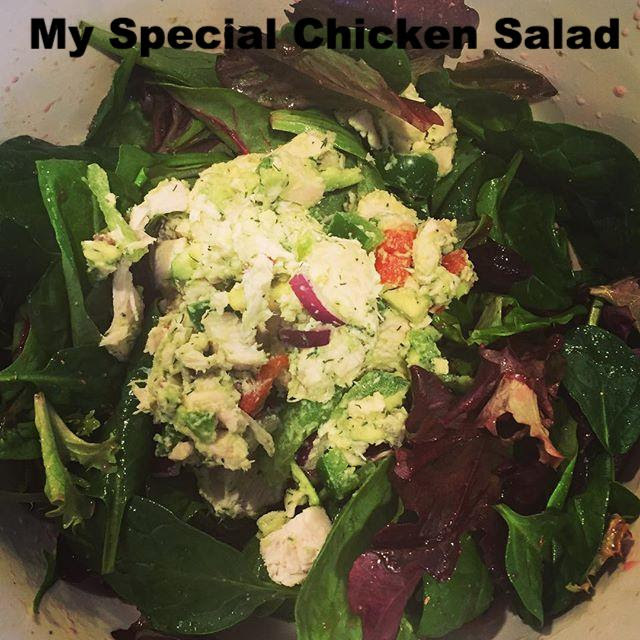 I will get more personal with photos of my meals and workouts on my personal account instagram@nakohealthfit.com. I will dial in my nutrition and share EVERYTHING!